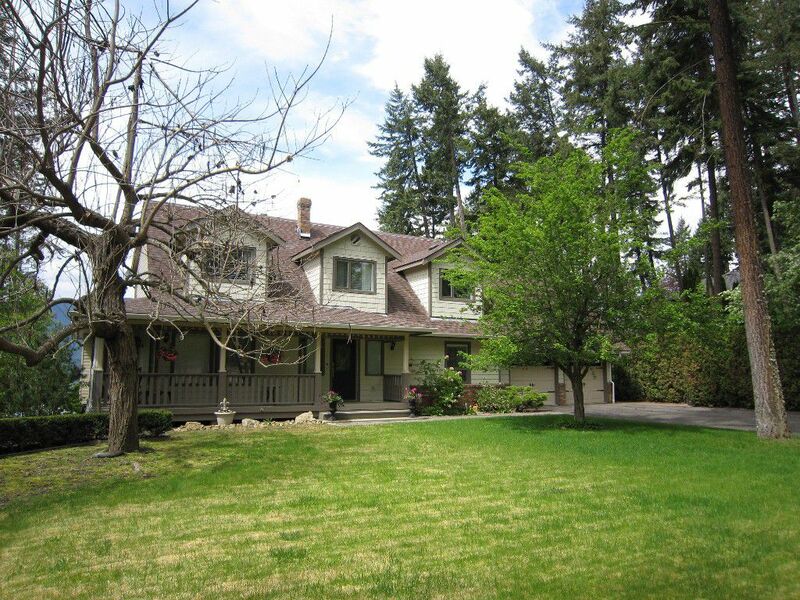 Spacious Lakeview home on 3/4 of an acre located in the prestigious upper lakeshore area of Raven in Salmon Arm. almost 3400 finished square feet on 3 levels. 4 beds, 4 baths, 5pc ensuite & main bathrm too. Newer hardwood floors, RV parking,mature landscaping, fenced in backyard for pets & R8 potential for carriage house. Newer Rampton Rockworks retaining wall feature, New Trex rear decking, New front fascade Hardie board siding, New Ceasarstone countertops by Hardrock Granite, Newer appliances including deluxe gas stove with elect oven & hood fan, Franke kitchen sink, Newer high efficiency gas furnace with heat pump air conditioner, Newer LG washer & Dryer, New heated tile floors in lower level bathrm, New sculptured carpets by Ashton Flooring, Security system, Pave driveway & gated 2nd driveway for RV or guest parking. Basement has separate entrance with concrete patio deck & can be easily suited for a mother-in-law. Rezone to R8 for a carriage house & detached shop. Huge lot borders both Lakeshore road and Upper Lakeshore Rd & has excellent curb appeal in an area of executive homes. Quick possession can be offered. See more info here at www.BIGRob.ca then call Rob McKibbon for your personal viewing appointment. 1-866-463-2791 or 250-804-6288, SOLD@BIGRob.ca, Thanks for your interest!